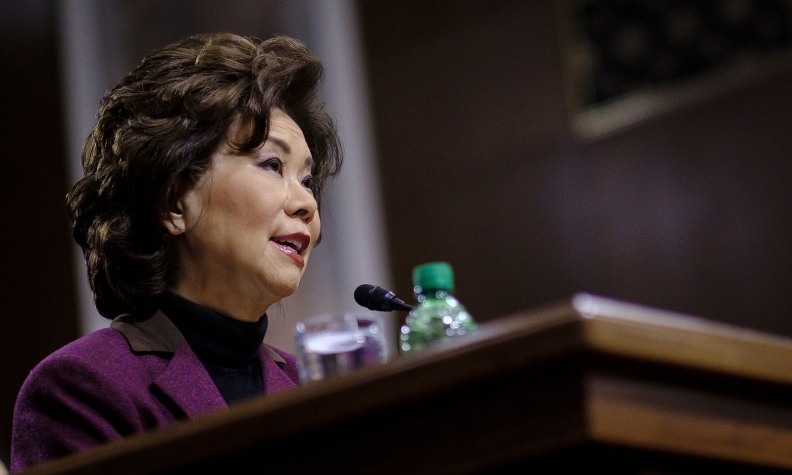 U.S. Transportation Secretary Elaine Chao said the new guidelines "will point to a path forward for the safe deployment of automated vehicles." DETROIT/WASHINGTON -- The Trump administration will unveil revised self-driving guidelines within the next few months, the head of the U.S. Transportation Department said on Monday, responding to automakers' calls for regulations that will sanction their costly efforts to put autonomous vehicles on the road. U.S. Transportation Secretary Elaine Chao said in February she was reviewing self-driving vehicle guidance issued by the Obama administration in September, but on Monday said the new guidelines "will be released in the next few months, if not sooner." Chao said the new guidelines "will point to a path forward for the safe deployment of automated vehicles." Chao was not specific about what her department's proposals would include, or how they would differ from policy guidance proposed by the Obama administration. Companies including Google affiliate Waymo, General Motors, Ford Motor Co., Uber Technologies, Tesla, and other are aggressively pursuing automated vehicle technologies. "We need a more concrete regulatory framework," Ken Washington, chief technology officer of Ford, said in Detroit. Automakers could use a clear set of rules to certify on their own that an autonomous vehicle is safe, as they can now with conventional vehicles, Washington said. Ron Medford, Waymo's director of safety, said in Detroit he expected autonomous cars would appear first in "managed fleet operations," not as vehicles sold to individuals. Chao, in remarks prepared for delivery in Detroit, said the new rules would support industry innovation and aim to encourage "new entrants and ideas that deliver safer vehicles." The Obama guidelines called on automakers to voluntarily submit details of self-driving vehicle systems to regulators in a 15-point "safety assessment" and urge states to defer to the federal government on most vehicle regulations. Joseph White contributed to this report.